New London, PEI, has a new neighbour that has been messing around in the dump and loitering in peoples yards. In last week’s blog entry, staff at New London’s Island Waste Management depot sent in photos of gull AAR who has been hanging around their dumpsters for several weeks. 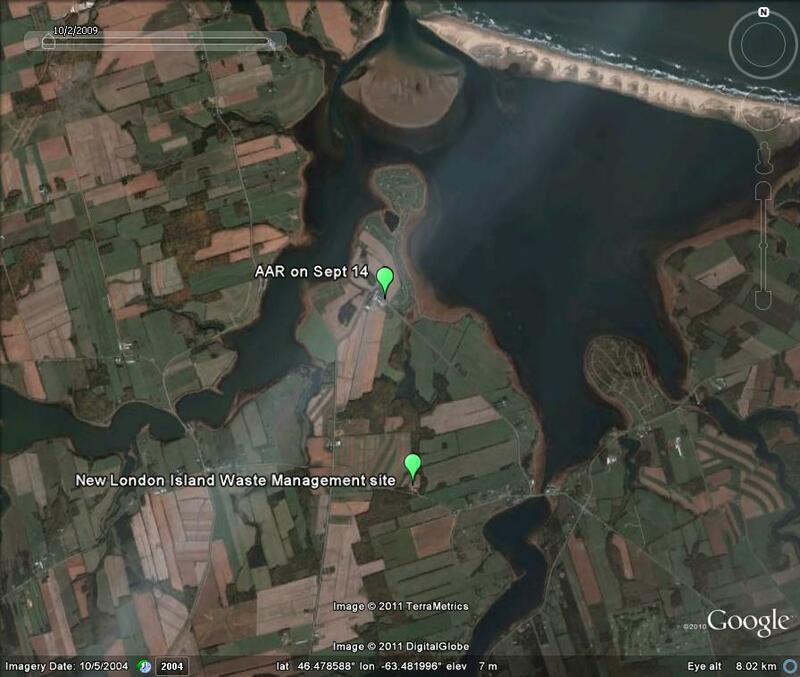 Still a week later, AAR was spotted again on September 14th roosting among other gulls in a yard on the outskirts of estuarine New London Bay. 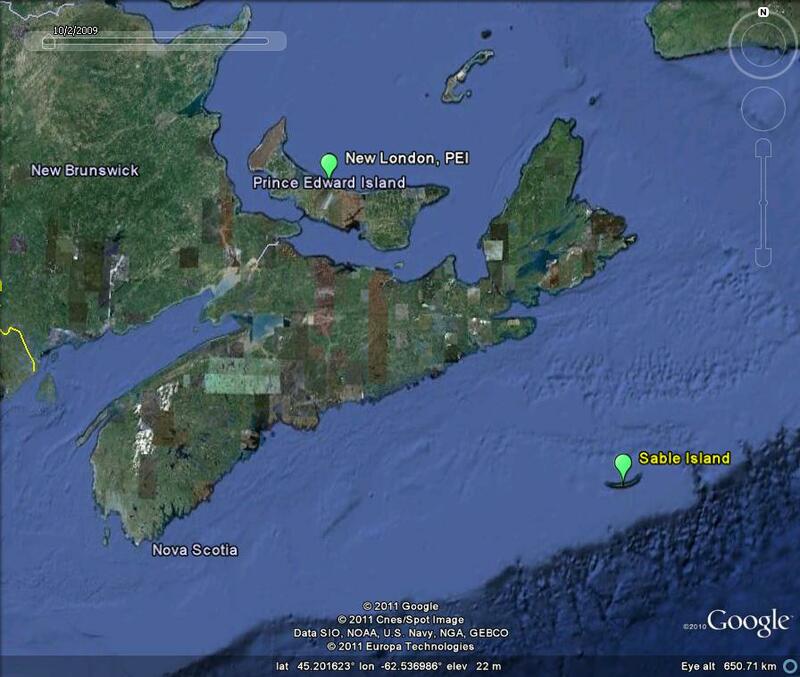 New London in north central PEI is more than 400 km north west of Sable Island were AAR was tagged in the spring. 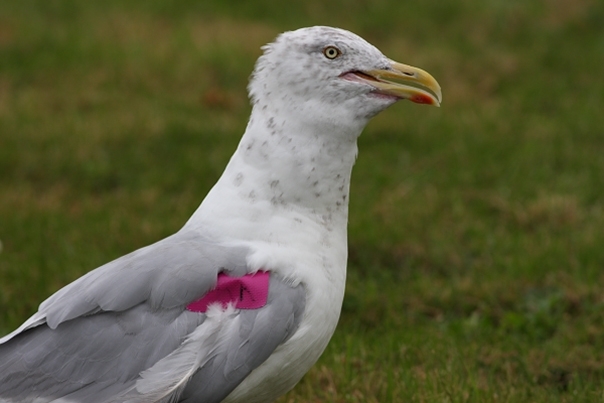 Herring Gull AAR was first reported in late August at the Island Waste Management site. Two weeks later AAR was loitering in the yards adjacent to New London Bay. A resident of the area, Trevor Wadman, provided an amazingly crisp photo showing that this bird has started to moult into its winter plumage with dark feathers appearing around the head and neck. Check out some of Trevor’s other beautiful wildlife photographs on Flickr. AAR showing signs of autumn moult as the head and neck take on a speckled appearance. Photo courtesy of Trevor Wadman.